Milight are the smartest iphone lights that can also be controlled with tablets, ipod, wifi remote control or any other android devices with wifi connectivity from anywhere in the world. Milight is easy to install light controlled by iphone, you can easily switch it on before entering the dark room or you can also switch it off with your iphone if you have stepped out of your home. You can also use these iphone control lights to change colors for a party mood or to match the ambience of your room. The dim control function can significantly be used to serve as a night lamp in children’s room as well as for late night assignments. All-in-One bulb. All colours including White. 4 Channels Lights Grouping. Dimmable and Many more. Milight are the smartest iphone lights that can also be controlled with tablets, ipod, wifi remote control or any other android devices with wifi connectivity. Milight is easy to install light controlled by iphone, you can easily switch it on before entering the dark room or you can also switch it off with your iphone if you have stepped out of your home. You can also use these iphone control lights to change colors for a party mood or to match the ambience of your room. The dim control function can significantly be used to serve as a night lamp in children’s room as well as for late night assignments. Milight RGB is an iphone lighting control with dim control option and 255 varied colors. With your iphone light control application, you can select the shade to be light blue to set romance in the bedroom or you can set it to light up your kid’s room in green to keep them happy and frolic. This innovative lighting option also has 20 modes to be selected according to the moods of party, tough day at work or peaceful night. 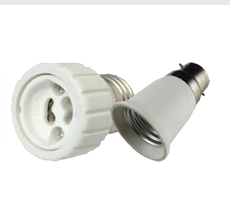 This too is a wifi light bulb to be used to light up your living room, dining room or kitchen area with options of cool and warm lights. 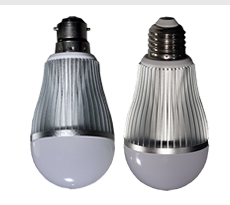 Such bulbs are ideal for locations where simple but continuous light is required. Milight White also allows you to control lights from iphone with dimming options. Wifi box is a device that can be used to wirelessly connect all Milights of the home or your work place. If you do not want to control lights from iphone, the Milight remote can be used. Remote light control works exactly like the iphone application to perform all the functions like switch on, off, dim, mode, and color selection. All bulbs are energy efficient to consume only 6 watts and last up to 25 years with minimum carbon footprint. Light up your home or work place smartly with smart Milight to save huge on electricity bills and frequent bulb changes.